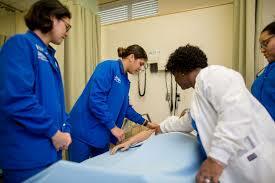 HBCUs are offering many more exciting careers that are in high demand in the future. Many HBCUs rank among the top schools in the nation for providing excellent educational programs in the country. Nursing graduates from Fayetteville State University have posted a perfect passage rate on the National Council Licensure Examination, marking the second time in three years that the program has moved 100 percent of a nursing cohort into certification upon leaving the university. According to a release, 22 graduates from the program passed the examination on their first attempt, amassing a 98% total passage rate for 2018 that is three points higher than the average score for all nursing graduates from colleges and universities in North Carolina.